Is it possible to create a sense of privacy living on a busy San Francisco street? How can you successfully grow plants amidst a daily afternoon windstorm? 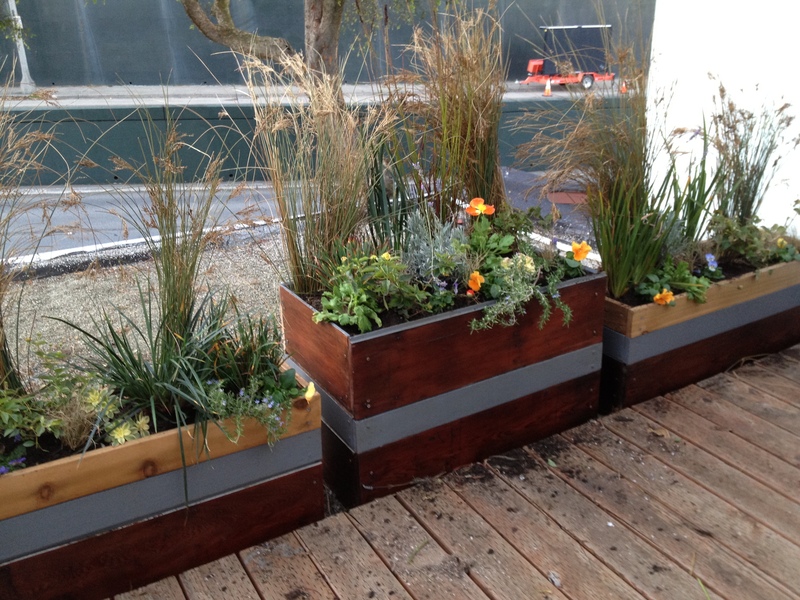 What if you love the look of a Marin County meadow but are committed to City living? 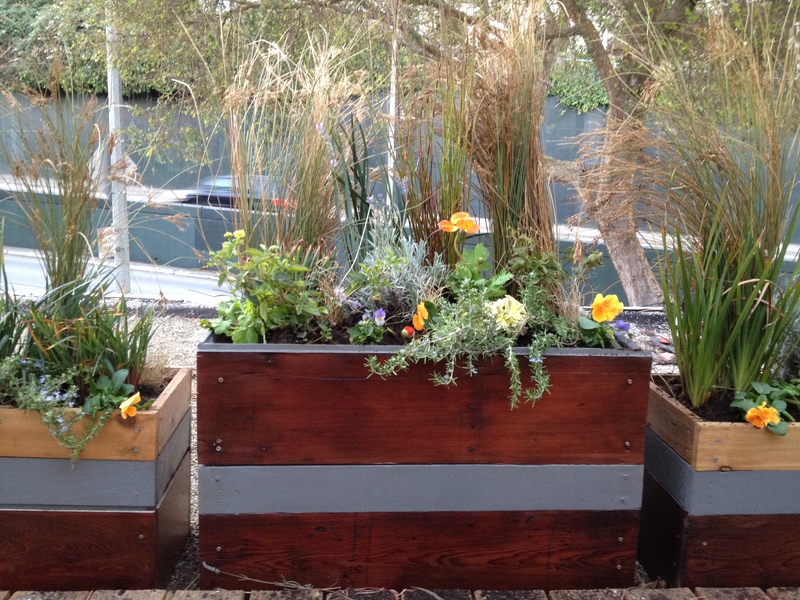 The answer is found in just a few planter boxes. Separation between home and outside is achieved with a few clumps of juncus, a grass-like plant known as a “rush”. With its rounded blades, juncus also offers an organic and pretty windbreak, bending with the fog rather than getting tattered as would a more fragile species. Between natives like blue fescue and Pacific iris, and culinary favorites such as rosemary and lavender, the look is natural and subtle. It conjures visions of a wildflower-studded meadow, and causes the owner, who travels up north for the good surf, to dub the design a “Bolinas-themed garden”. Add the happy faces of orange pansies and the crepe-paper petals of Iceland poppies (plus some California poppy seeds in the soil, awaiting summer) for fun splashes of color. 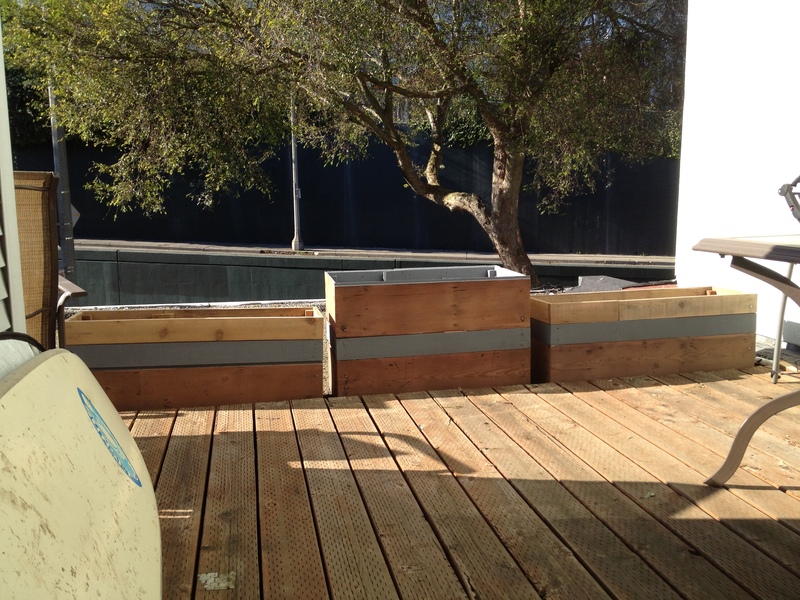 Holding the entire Bolinas-themed garden together are planter boxes made by Small Spot Gardens from reclaimed redwood and cedar from Building Resources, a non-profit organization located in Bayview that’s dedicated to reusing materials in the built environment.